“She’s Mercedes”, a global platform and initiative taken on by Mercedes-Benz Thailand, has put the spotlight on five Thai key opinion leaders who have shaped the very definition of success for Thai women. In recognising the power and importance of women globally, the brand continues in its aims to reach and engage more Thai women through inspirational stories that will guide them to follow suit in their own endeavours. Astonishing stories of the journey towards personal success have been relayed by Chortip Songwatana Vudhibhong, owner of the award-winning make-up brand Bibury Coln; Maneerut Anulomsombut, digital mastermind and CEO of Garena Online (Thailand); Rarin Thongma, founder of renowned footwear brand O&B; Panida Iemsirinoppakul, founding editor and critically acclaimed author of Yayee Publishing House and Araya “Chompoo” A. Hargate, actress and brand ambassador for Mercedes-Benz Thailand. 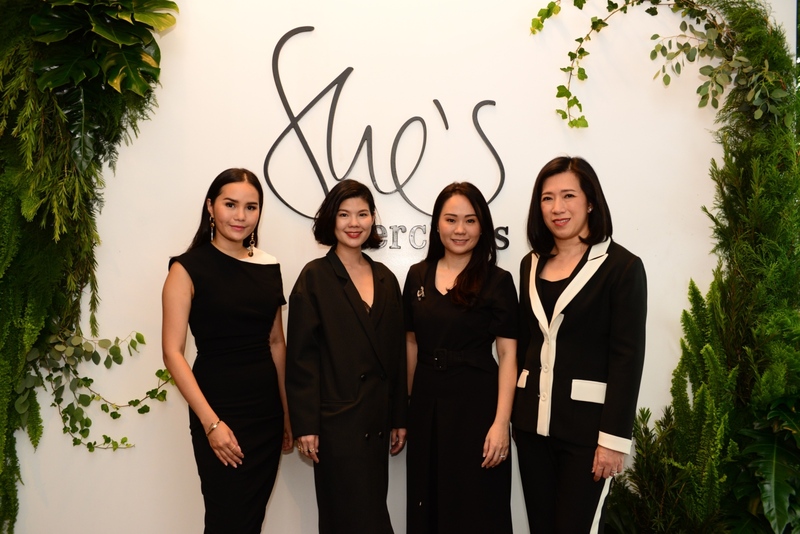 During a talk hosted at GISMO on Sukhumvit 39, four of the ladies, under the “From Great to the Best” concept, shared their work and life experiences, revealing interesting insights about their determination and resilience from their early days until becoming paramount figures in their careers. Aimed to spark a fire in the hearts of Thai women, the brand hopes that such stories will only bring out the best in their own styles, matching Mercedes-Benz’s motto of “The Best or Nothing”. For more information, visit www.mercedes-benz.com or visit the Mercedes-Thailand facebook page.